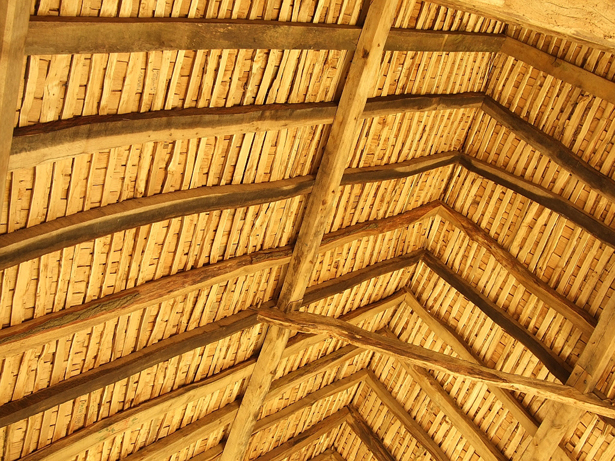 Orchard Barn's roof is clad with 20,000 Oak shingles on Sweet Chestnut battens. All the which were hand-cleft by Volunteers using locally sourced trees. The roof project took 9 months to complete and is the work of over 70 Volunteers from all over the globe (not all at the same time). It was a joy to build. We love the end result! 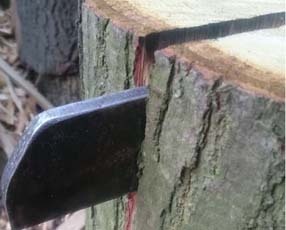 Tools and equipment used:- froe, maul, draw knife, side axe, saw, shave horse.